Wisconsin Gov. 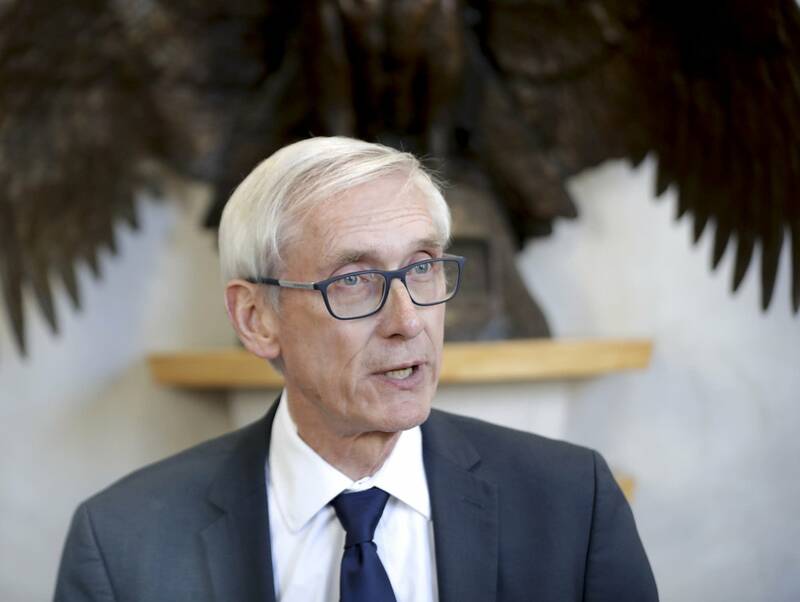 Tony Evers will propose decriminalizing small amounts of marijuana in his plan for the next state budget, a newspaper reported Sunday. Evers also will propose legalizing marijuana for medical conditions including cancer, post-traumatic stress disorder and chronic pain, the Wisconsin State Journal reported. Under the proposal, people with previous convictions for possessing small amounts of marijuana could have their records expunged. The proposal also will allow possession and use of a marijuana derivative used to treat seizures — CBD oil — without a doctor’s certification. Evers will release his proposed budget on Feb. 28. Evers’ office gave the newspaper an overview of the plan on condition it not be shared with others before publication. The new Democratic governor previously advocated decriminalizing marijuana but didn’t give details. It’s unclear if the Republican-controlled Legislature will approve the plan. Senate Majority Leader Scott Fitzgerald, a Juneau Republican, has said he opposes medical marijuana and isn’t sure such a law could pass the chamber. State Assembly Republican leaders have indicated openness to legalizing marijuana only for medical purposes . Democratic Attorney General Josh Kaul has said he supports legalizing medical marijuana to help people deal with pain and provide the state with new revenue. Wisconsin permits only possession of CBD oil, a marijuana derivative that does not produce a high, for people with a doctor’s certification to treat a medical condition. Evers’ plan would remove that requirement. Medical marijuana would be available to people for whom a physician, or a medical practitioner under the direction of a physician, recommends it to treat a “debilitating medical condition.” Those conditions include cancer, glaucoma, AIDS and Alzheimer’s disease. The medical-marijuana plan would be modeled on Minnesota’s, but without Minnesota’s prohibition on users being able to smoke the drug, Evers spokeswoman Melissa Baldauff said. Evers’ plan does not restrict how licensed users could consume it. Wisconsin’s Department of Agriculture, Trade and Consumer Protection would regulate the growing, selling and testing of medical marijuana under the proposal. Prospective dispensaries and growers would apply to the department for licensing. All medical marijuana sold in Wisconsin would have to be grown in Wisconsin. People with state licenses to consume medical marijuana would be allowed to cultivate as many as 12 of their own plants. Evers’ budget plan will call for spending about $1.6 million over the next two years for wages and benefits to implement the proposal. Evers’ office estimates the state would collect about $2.3 million in new tax revenue from legal sales of medical marijuana, which the office describes as a “very conservative” projection. The decriminalization proposal would remove all state penalties for possessing, manufacturing or distributing marijuana in the amount of 25 grams or less.